Tariq Drabu is a Manchester born and educated dentist. He is also one of the youngest dentists to graduate in the United Kingdom. He studied at Manchester University, graduating in 1986. This well-known Manchester dentist Tariq Drabu, then went on to work in hospital dentistry at various dental hospitals in the area, including Withington Hospital, Stafford District General Hospital and Manchester Dental Hospital. Tariq Drabu always had an interest in oral surgery and worked part time in local hospitals in various clinical posts. Tariq Drabu then went on to work in Saudi Arabia at some of the largest hospitals in Riyadh and Taif from 1993. When he returned to the UK he achieved is Fellowship in Dental Surgery in Edinburgh from the Royal College of Surgeons. From here his specialty was oral surgery, which led to his purchase of the Langley Dental Practice in Wood Street in 1998. The practice was in a sorry state when Dr. Tariq Drabu purchased it. It only had two dentist chairs and yet saw over 1,500 patients. During this time Dr Tariq Drabu taught at the Manchester Dental Hospital and lectured and mentored over five hundred oral surgery dentists. Langley Dental Practice continued to grow as the reputation of Dr Tariq Drabu started to spread, this resulted in him spending £350,000 in refurbishing the practice in 2005 to accommodate the increase in patient numbers. This turned the practice into a modern facility with state of the art equipment and four dentist chairs. 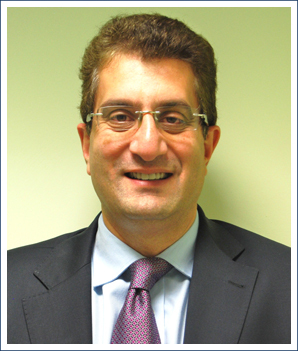 Dr.Tariq Drabu is a strong believer in advancing your career through education, which led to his specialist in oral surgery accreditation from the General Dental Council in 2002 and his postgraduate diploma from the University of Manchester for oral and maxillofacial surgery in 2008. During this time he also lectured at the Manchester Dental Hospital for nine years on oral surgery to postgraduate students. Today Dr. Tariq Drabu practices from Langley Dental Practice. He is also Clinical Lead Dentist at NHS Middleton and Rochdale and NHS Oldham for Oral Surgery CATS Services. This well-known Manchester dentists also teaches oral surgery in London at the Royal College of Surgeons and in 2007 he was a chosen finalist for the Trainer of the Year award by the Dental Defence Union VDP. With a passion for learning and advancing his career, Dr.Tariq Drabu went on to complete an Advanced Certificate in Facilitated Learning in Healthcare Practice from the University of Central Lancashire and a level 7 certificate for Executive Management at the Institute of Learning and Management in 2012. Tariq Drabu works hard to ensure he delivers the best dental care and oral surgery to his patients. With over twenty five years of experience he is a top choice for dentists in the Manchester area. The practice accommodates for NHS and private patients offering competitive prices and a host of top dental services ranging from emergency dentistry to dental sedation, tooth whitening and so much more.